Revd Charlotte Osborn was born in Norwich and grew up by the sea in North Norfolk. 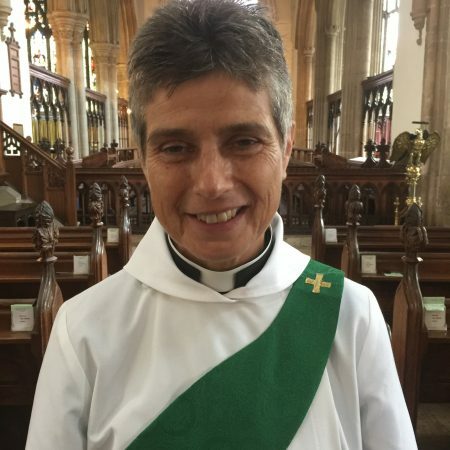 She is married to Leo, Oakham’s Methodist Minister, who has previously served churches in Derbyshire, Lancashire, Cheshire and Northumberland, while she has taught Latin and PE, worked for Youth for Christ and latterly as an Airport Chaplain. She loves cycling round Rutland Water, playing squash and mending things. Still surprised by this late call to ordained ministry, she is looking forward to an end of essay writing and to beginning to put her training into practice, to knowing and being known in the villages and churches in the benefice. Charlotte has spoken to the Mothers’ Union about her Journey to Ordination.